One of our trusted suppliers, Mohawk Paper, was recently featured on the front page of the Wall Street Journal. 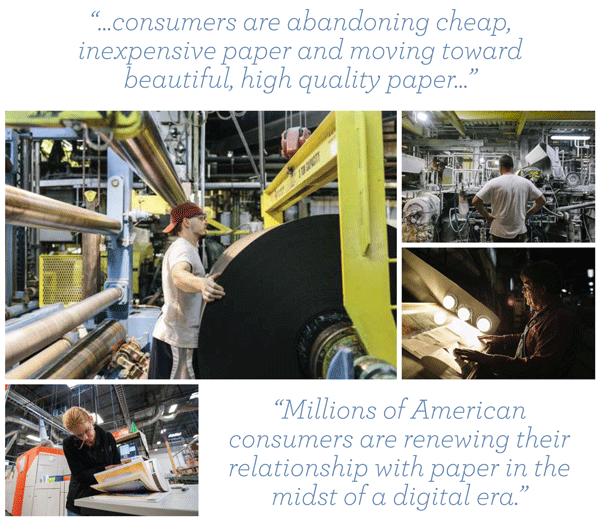 The story entitled, U.S. Paper Industry Gets an Unexpected Boost, describes how millions of American consumers are renewing their relationship with paper in the midst of a digital era. We are ecstatic about this article that demonstrates that beautiful, high quality paper items like invitations, business cards, holiday cards and social stationery are still a valuable commodity and consumers are not willing to give up the tactile feel of well crafted paper. If you're as excited about this news as we are you can read the entire article here.